It is now into the fourth day of November. 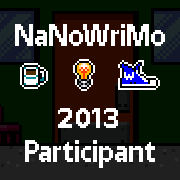 Are you one of the 120,000 or so people around the globe who have signed up to do NaNoWriMo (aka National Novel Writing Month)? If not, congratulations on avoiding the insanity, especially if you already call yourself a writer. If you have joined the insanity, however, just know that you are in the company of some of the most wonderfully non-institutionalized crazy people you will meet. What compel a busy stay-at-home mom like me to enter the fray for five years in a row? The first year I felt called to do it and had never written a novel and figured it was free, didn’t cost anything and if I didn’t win, no biggie. So I wrote and found out I loved writing. This is your fifth year? What do you write? Yup, five years. I started out writing an inspirational Regency romance as it is my favorite genre to read and there are not enough out there to feed my voracious appetite for fiction. Kind of along the thought of “Write what you would want to read.” Since that first novel had several supporting characters, I’ve been taking one a year. A thread of some evil started to weave it’s way through my stories so it became a five book series with the final culmination in this book. (I have written four rough drafts of other novels outside of NaNoWriMo as well). Don’t you have a life? I still try to go to the Y and I’ve never been much for cleaning anyway and I’ll still meet friends for coffee. So yes, I do have a life. Some of my editing projects I got ahead on so I could focus more on this novel. I probably won’t be so sucked into the black hole of Facebook for as long a period as normal. How does your family adapt? They roll their eyes and then pretty much ignore me and the fact that I’m on a quest to not only write 50,000 words – but to actually FINISH the novel within this month (approximately 85K). Thankfully my kids like pizza and hubby is not around enough to care. They are unimpressed by my word count updates. 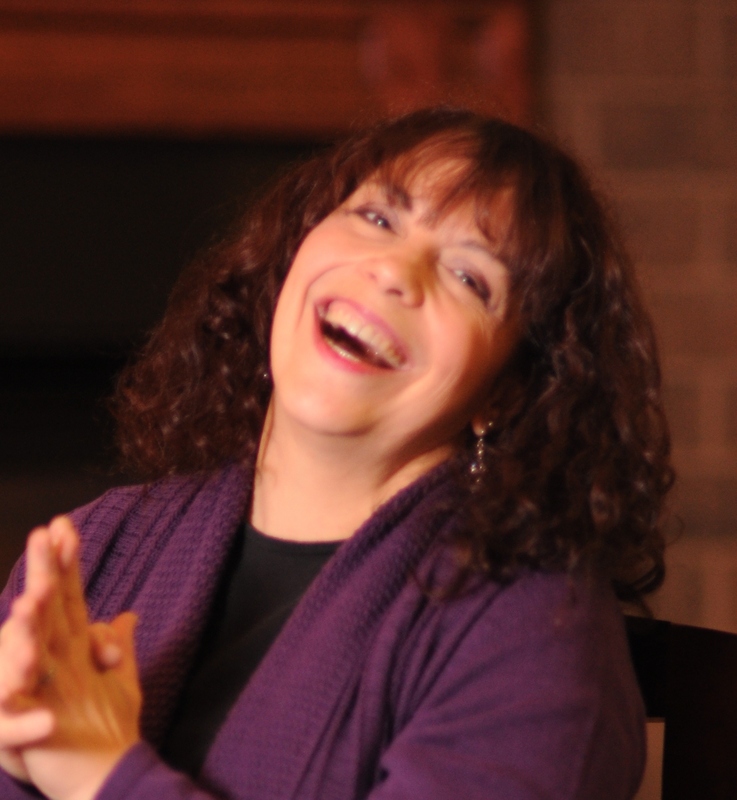 Any words of encouragement to others who are writing? Writing can be isolating. Engage on a Facebook page for your area (or create one!) and attend at least one write-in. Post on a forum. Use this as an opportunity to connect to someone new. You never know how God might use that relationship! Write, write and write some more. Put duct tape on the mouth of your inner editor. If you hit a stall (aka writer’s block) write through it, even if it’s lousy, you’ll up your word count and you might break through to that brilliant part of your story you would have missed. Revising is the time to clean those spots up. Back up in multiple places. Email your document to yourself. Dropbox is great. Do more than one copy of your document (in case one gets corrupted, um, yeah, it happened to me). Back up often even while you are writing. Don’t count on your auto back up to do the work for you. Write daily and try for more than 1,667 words if you can. You don’t know what challenges lie ahead in this month. Family, health and other crisis can crop up. If you hit it heavy and hard at the front end, you have a cushion and those interruptions don’t have to keep you from reaching your goal. And don’t let anyone fool you: week two is the hardest, no matter what your word count is going into it. Don’t take yourself too seriously. It’s easy to think this is going to be your most brilliant work (or the worst). The story I had the hardest time writing was year three – and it as the only one I didn’t finish by the end of Nano. I had hit about 62K but the story wasn’t done. I thought it would be a loss – and yet it’s my favorite to date! Laugh. Take breaks. Work out. Be disciplined to write through, your novel won’t write itself. When it’s done -set it aside for a few months before you try to do revisions – you’ll need the space. But go ahead and learn the rest of the craft because writing the first draft is only one aspect. Who knows, maybe yours will be the book that finds it’s way to a bookshelf someday? You never know and we can always dream big, right? Those sound good. Thank you for taking time away from your writing to talk with us.